Spring is definitely the season most often associated with weddings—and rightfully so! Blooming gardens, fresh produce, chilled cocktails and longer days all make for fabulous affairs. But sometimes the typical spring wedding “should and should-nots” seem set in stone, so you might feel some pressure to stick to the same old themes and color schemes. But we’re here to assure you that the kind of wedding you should have is the kind that works for you! We’ve overturned five common assumptions about spring weddings so you can break the rules—brilliantly. Though many spring brides embrace the softer colors traditionally associated with the season, others are less excited over pastel hues. If you find yourself in the latter category, trust your style and go with a color scheme that fits you best. Pulling off an unexpected palette gives your wedding an element of surprise that will wow your guests and make your day truly unique. If you’re envisioning an unconventional palette, but still want to be seasonally appropriate, vamp up typical pastels by choosing their updated, more vibrant versions, like bright coral, violet or a warm yellow-green (like Greenery, Pantone’s 2017 Color of the Year). Spring is undoubtedly a floral bonanza—a huge variety of blooms are in season and easily accessible, which is why so many couples opt for a spring date. But if flowers aren’t your thing, there are so many other creative, unusual and gorgeous ways to decorate your space. One way is to incorporate other natural elements, like moss, wheatgrass, river rocks or fresh herbs. These natural details will still evoke a spring-like lushness without an abundance of petals. Angling for a little more drama? Towering, blooming branches like cherry blossoms, quince or dogwood offer a minimalistic modern vibe, letting you incorporate some blossoms without being overwhelming. And, like flowers, these other options look stunning anywhere, from the altar to the reception tables. Dreaming of an evening affair? Don’t let the season stop you. When some people hear “spring wedding,” they immediately assume it’s a brunch reception. Brunches are lovely, but they’re far from your only option; in fact, they’re probably the least ideal option if you want an all-out dance party. 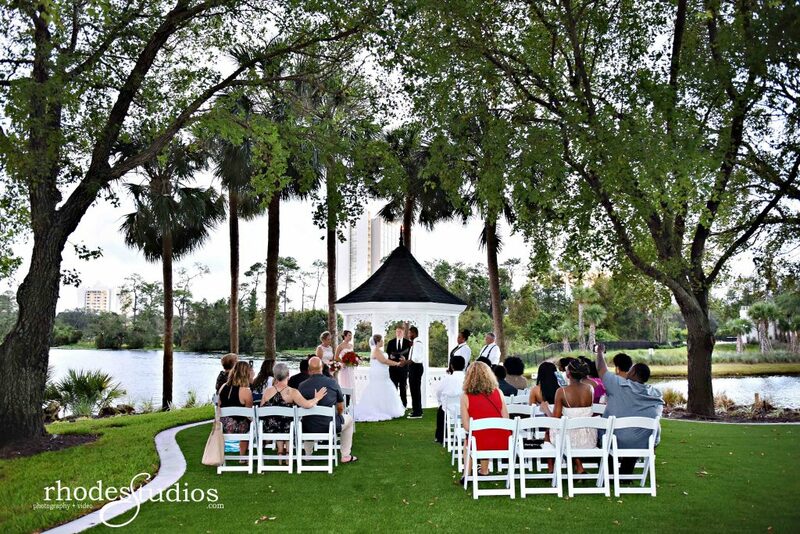 Though the days are getting longer, you can still wait until sunset, or even later, for your ceremony. And if you do want a midday wedding, particularly outdoors, go ahead and take advantage of the fair weather. Spring’s milder temperatures make a daytime wedding much more comfortable than it would be in the heat of summer. While in many places, March through April can bring an unpredictable—or predictably soggy—forecast, don’t rule out an outdoor wedding for the entire season. The elements will be a factor in an outdoor celebration at any time of year, so rather than forgoing an al fresco fete, just plan ahead. When scoping out ceremony and reception sites, remember to ask what other couples used as a rain plan, and what, if any, alternative arrangements need to be made. Get the full rundown on these arrangements, so if you’re inviting 200 guests, you won’t end up with a plan B site that only holds 120. Another option is to reserve a just-in-case tent.